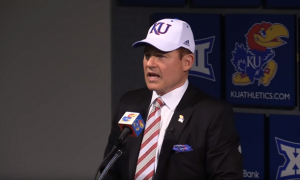 Could Other Power 5 Conferences Now Follow the Big 12's Lead? 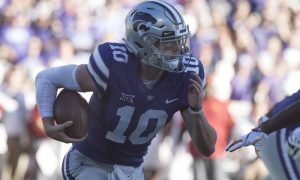 Could Other Power 5 Conferences Now Follow the Big 12’s Lead? The Big 12 Conference was once on the verge of extinction. Four teams had fled the conference for the Pac-12, Big Ten and SEC. Could the conference be saved? Well, they welcomed in West Virginia and TCU to stem the tide and start with a new ten-team round-robin schedule. Would it work? Or would it be the Power 4 and the Big 12, as some around the country started saying. 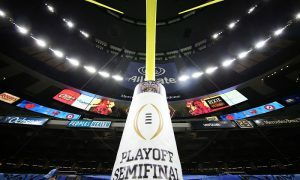 Then came the College Football Playoff, which saw Ohio State totally hose the Big 12’s TCU Horned Frogs and Baylor Bears the final weekend of the season. Those two programs were ranked in the Top 5, but Ohio State blew the doors off Wisconsin 59-0, but TCU, who beat Iowa Staet 55-3, fell three spots. It was a shame then and it remains a shame now. 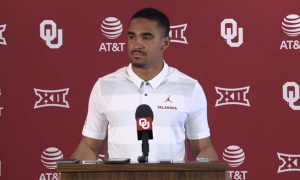 However, since then, the Big 12 has started to improve its standing and it appears as if other conferences are now looking to the Big 12 for advice, or at least an example, on how to run its conference. The Big Ten and the Pac-12 have now been shut out of the College Football Playoff the past two seasons, which has apparently caused them to re-evaluate some things. This time around, Ohio State had a big mountain to climb on championship weekend because they were playing No. 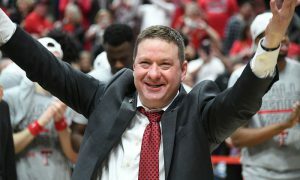 21 ranked Northwestern, while being ranked behind an Oklahoma team that was playing a higher ranked Texas Longhorns team. Why is this? Because the Big Ten’s divisions are not currently competitively equal. The East is far better than the West. Meantime, the Big 12 has the top two teams play against each other. Had the Big 12 broken up into two five-team divisions, Oklahoma would’ve probably played Iowa State, which was ranked below Northwestern heading into the final week of the season. Who knows how that might’ve changed things in the committee’s minds, considering Ohio State is a ratings juggernaut with eight of the Top 25 highest-rated games this season. Suddenly, the Big 12 is looking like the innovative conference, after Big Ten commissioner Jim Delany said this on Wednesday. 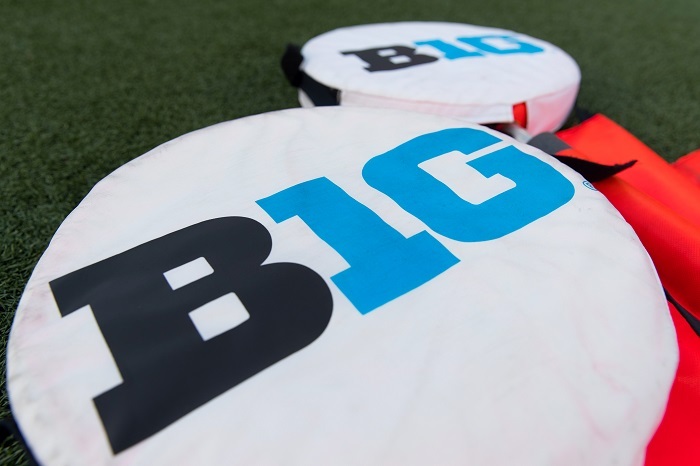 Jim Delany says matching two best teams in B10 champ game will be discussed. For all the mockery the Big 12 Conference received for not having a conference championship game, it looks like the conference got it right. Then when they added it, for some, short-sighted folks, to not realize the benefits of this conference adding the conference title game was misguided. Last year, when Oklahoma beat TCU, it probably kept the Sooners in the No. 3 spot, rather than falling to No. 4 had they not had a game to play, despite winning the conference. 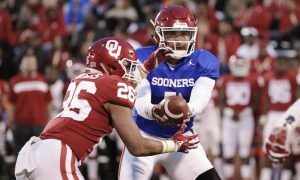 This season, the conference championship game and win over Texas, likely propelled the Sooners, and as a result, the Big 12 Conference, into the No. 4 spot. 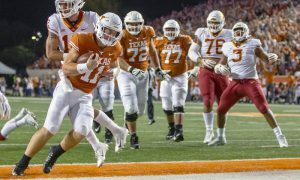 Two years in, not only has the Big 12 Championship Game been a huge boon for the conference monetarily (~$30 million), but it’s also now being potentially copied by other Power 5 Conferences who have fallen down on their own tough luck in recent seasons. Funny how that works, huh? Who is now getting the last laugh?